Noun plural. North American. Late 19th century. Stout protective trousers for cowboys etc. If you've ever wondered where chaps came from (and what cheeky chap hasn't? ), they're rooted in cowboy culture, the word being an abbreviation of chaparejos, a Mexican-Spanish word blended from chaparreras, meaning 'thicket', and aparejo, meaning 'equipment' or 'gear'. 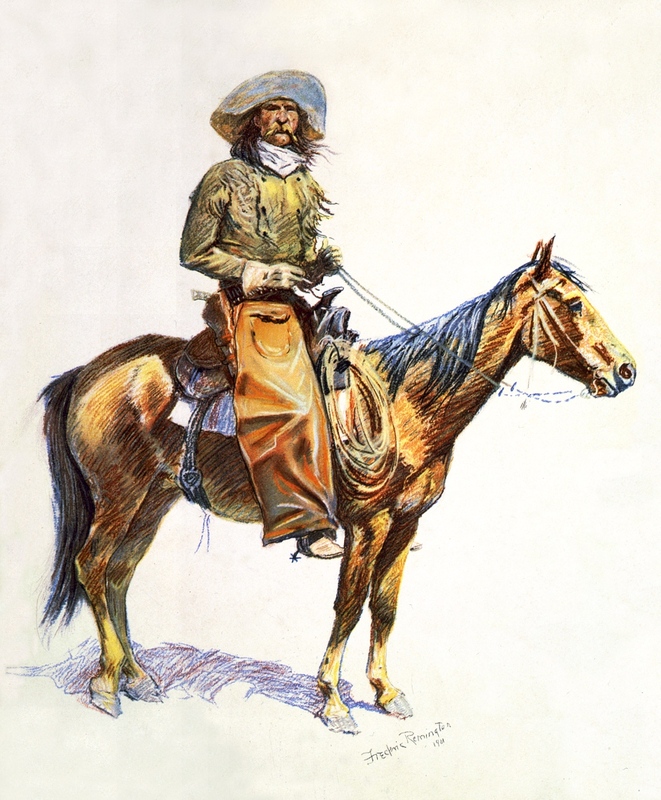 Bronco riding and cattle rustling is tough work, and even tougher on your clothes, so a sturdy pair of leather chaps is just the ticket for keeping that pair of Levis looking brand-spanking-new. Do please leave your cheekiest comments in the box below. I believe they also prevent chafing in the inner thighs when riding a lot. They sounds owie doesn't it! Many a Wild West gunslinger lost a duel due to being distracted by chafed thighs, Jingles ... owie and lethal.